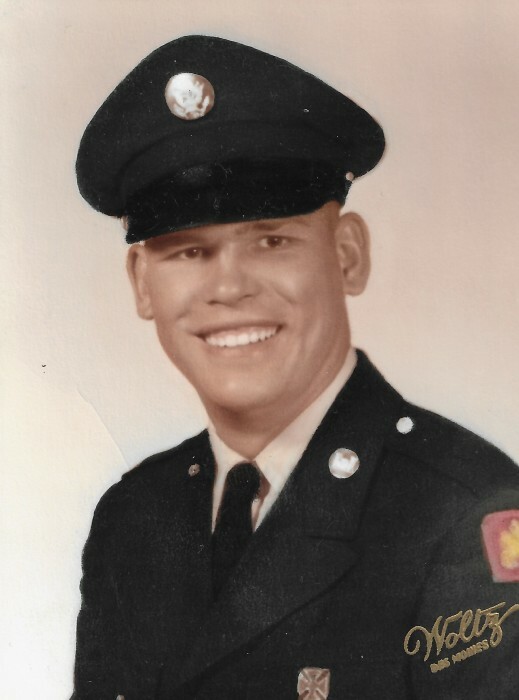 Nels Wayne Engebretsen, 76 died unexpectedly April 5th, 2019 at his home in Chadron, Nebraska. He was born December 21, 1942 at Lusk, Wyoming, the son of Floyd and Wanda Engebretsen. During his years of growing up on the Engebretsen Ranch he was in 4-H, and in high school he was a member of FFA. In later years, he belonged to the Lusk Jaycees where he was voted in as Vice President and later President. An important person in his life was his grandmother Hazel Hall who gave him great support in the decisions of his life. Nels graduated from Lusk High School in 1962. Following graduation he served in the National Guard for 6 years with a year extension, for a total of 7 years. He was honorably discharged in January 1969. During that time he received a diploma, successfully completing an automotive course. He was also awarded a diploma in Fuel and Electrical Systems Repair. His final award was a Certificate of Recognition for his outstanding service in a Selected Reserve Force Unit between the dates of November 1965 and February 28, 1967. During this time his unit attained the highest state of readiness ever achieved by a non-mobilized force and they were recognized by Governor Hathaway of Wyoming. His final rank was Specialist 5. After the service he worked on the family ranch. In 1971 he married Lynna Faye Almazan, who was a single mother with a young son Richard, whom Nels loved like his own. Nels and Lynna Faye celebrated 47 years of marriage on September 11, 2018. He held many jobs over 30 years. In addition to working on the family ranch he also worked at Bear Creek Uranium Mine, Path Finder Mine, and later built coal cars in Douglas, Wyoming. In addition to his parents he was predeceased by his step son Richard Almazan whom he dearly loved. Surviving in addition to his wife, Lynna Faye, is his precious daughter Cherokee Rotherham and husband Matt; grandchildren, who were the light of his life, Austin Wayne Kennedy and Adrianne Elizabeth Kennedy; sister, Patricia Kagie and her husband Fred; brother, Chuck Engebretsen and his wife Mary; many nieces, nephews, and cousins.